GEORGIA. 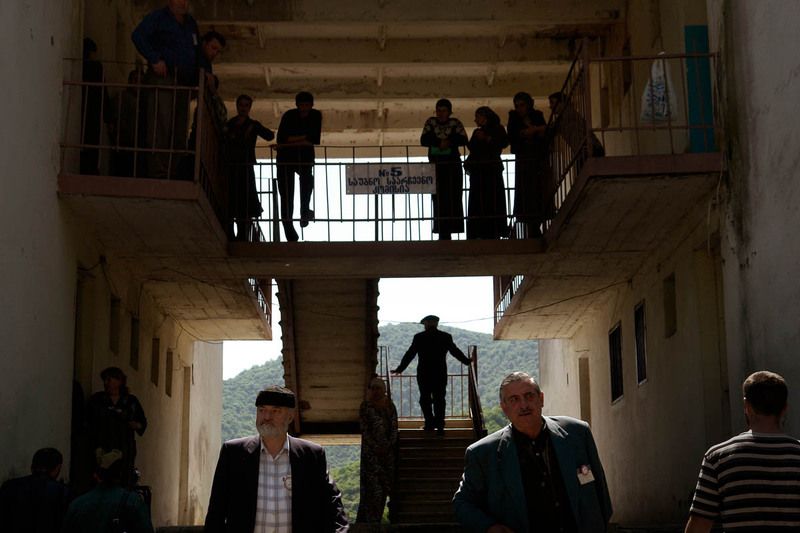 Pankisi Gorge, a Chechen refugee settlement. An old hotel built during the Communism period in Georgia. Now a home for Chechen refugees. Local Mayor Elections.